Major shareholder Deutsche Telekom is free to lift its stake in the UK telco from the end of January. But takeover chat seems premature. Broadband price regulation and Brexit are more pressing concerns for new boss Philip Jansen, and probably make a bid unlikely for a few years. 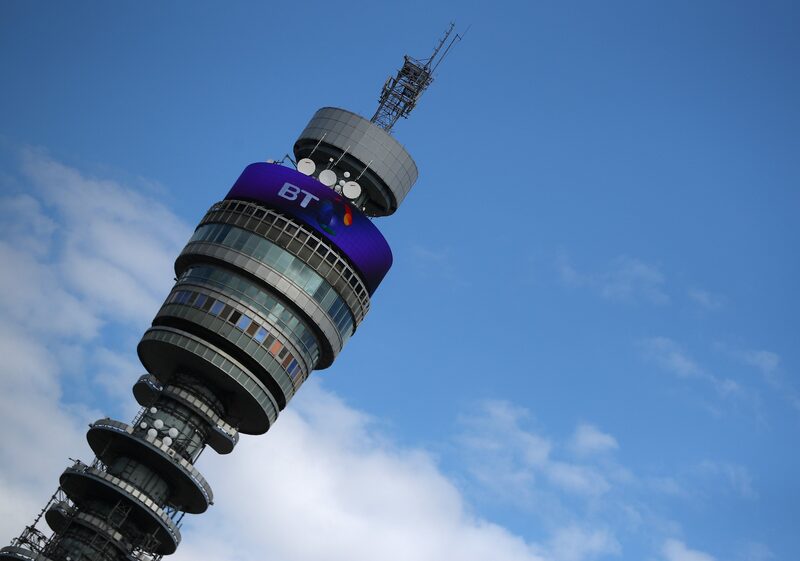 The BT Tower communications tower is seen in London, Britain, August 13, 2018. BT is working with Robey Warshaw and Goldman Sachs on a takeover defence against Deutsche Telekom, its biggest shareholder, the Mail on Sunday reported on Jan. 6. BT, Deutsche Telekom and Robey Warshaw declined to comment. Deutsche Telekom owns 12 percent of BT as a result of the UK telco’s partly share-based acquisition of mobile group EE completed at the end of January 2016. Under that agreement, the German operator was given a seat on BT’s board and prohibited from buying shares for three years. Deutsche Telekom Chief Executive Timotheus Hoettges said in November the company was “not in a phase of upgrading or improving our stake” in BT. BT shares were up 1 percent to 240 pence at 0930 GMT on Jan. 7.